Salt Spring Island, a little piece of paradise between Vancouver Island and the mainland, has a reputation that precedes it. As I mentioned in my previous blog entry, there certainly is a supremely laid back feeling that hangs in the air on the island. It is as if there is this bubble that protects Salt Spring from the rest of the world. My mobile phone barely worked there, which was fine as I appreciated having it on a shelf for once rather than in my pocket. I had my sketch book with me but again, I like to shoot with my camera to take in as much as possible rather than sitting and sketching for an hour. It is as though I suspect it will all disappear at any moment and I have to hurry to take pictures before it slips away. Perhaps it is the atmosphere, the mist in the air, the changeable and often wet weather that I love so much. Whatever the cause the COLOURS were so very intense. I know that I like to take pictures of my paintings for archival purposes right after or right before a rainstorm. It tends to intensify the colours. Perhaps this the reason for the same phenomenon happening on Salt Spring. Part of the property where I stayed while on Salt Spring, at the north end of the Island, there was a pasture where a couple of horses lived. 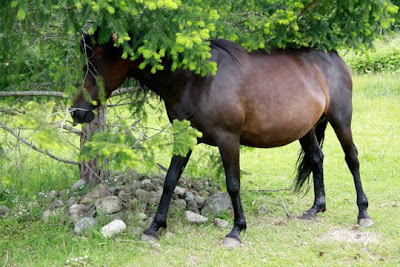 Shena, the pregnant mare shown above, gave birth to a healthy foal the next day. My host Theresa and I were fortunate to spend a few minutes with Shena as she spent this last day patiently awaiting the birth of her baby. She was rubbing up against a tree and seemed rather preoccupied, yet she eyed us with such a soft and gentle gaze that we did not stay long but talked with her and then left her alone. 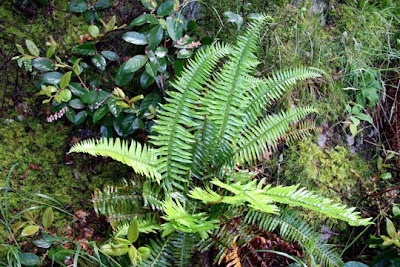 I spent a lot of time driving and hiking around Salt Spring. You could cover the entire island by car in half a day and I made a small side trip down to Moonstruck Cheese, an organic cheese company on the south end of the island. I am vegan, but my good friend Jim spoke of visiting this place years ago and then promptly forgetting his cheese in the fridge at the place where he was staying. I knew I had to find some for him. It was a quaint little place, with some chickens and horses on the property. One other couple was poking about like I was and we found our way into the little shop where there were two fridges filled with the small wheels of cheese and samples of each kind. I took their suggestion and picked up two small cheeses for Jim. It was only then that we realized that there was a little tin to leave our money in as no one works in the shop. Apparently the owners use the honour system of trusting the customer to not run away with the tin of money left there. I thought it was both brave and quaint at the same time. 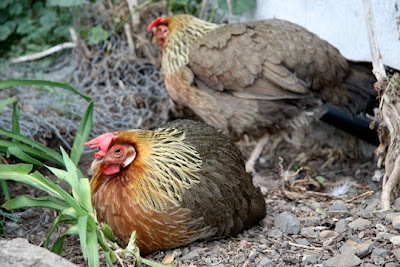 Chickens at Moonstruck Cheese. They were resting. I think I woke them up. As I headed down to my friend Ron's place for a bite to eat I passed a hitchhiker near where I was staying. I stopped and picked her up. She was exuberant, had a beautiful spirit, wonderful energy and we hit it off straight away, I gave her a lift to the south end of the island where she lived. She is from Mississauga, a city about half an hour from where I live here in Burlington, Ontario. 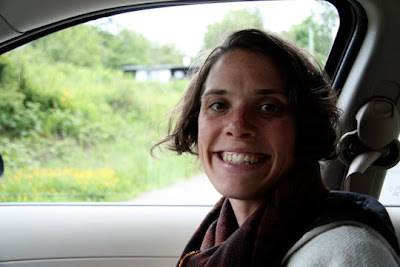 We laughed at our Ontario connection, agreed on our love of British Columbia and chatted amiably for awhile before I dropped her off. It is people like Paula who stick in my mind; lovely souls with a history just as interesting as any pebble on a beach. Perhaps Paula and I will not be around as long as that pebble, but we live just as authentically as any rock shaped smooth by the water. We feel the gravity of the world just as consistently and we are flung about in tempests not terribly different from one another from time to time. I went to visit my friend Ron as well as John and his family one evening. 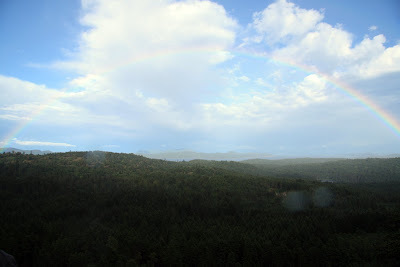 The view down from the mountain was wonderful, with lots of greenery and even some rainbows after the recent rainfall. I tried to squeeze every moment out of my time there, knowing I could use it as creative fuel for the fire at a later time. The trees seemed to be endless, invincible with an inner strength that was palpable. More wonderful arbutus. Look at the amazing colours! The "skin" that has fallen to the side is a terrific eggplant colour. Arbutus is one of my favorite things in the world. 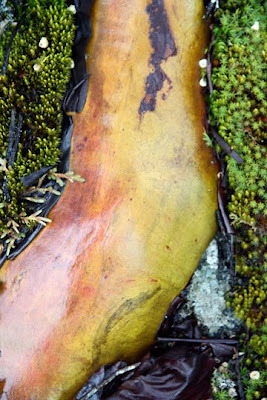 Each branch and root is a soft palette of hues that I haven't seen anywhere else. 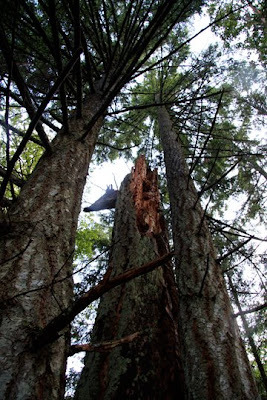 Some of the fir trees were true giants. 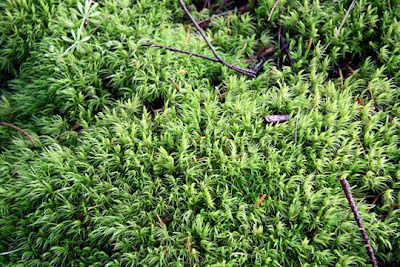 One in particular was estimated to be over 300 years old. While walking below these trees I truly felt as though I was a part of something larger, a small cog within the wheel of a great organism. It was a humbling feeling, a feeling that I was in a very special place indeed. I was almost paralyzed from the thought of doing anything creative, because the stimuli was so overwhelming that I could only take it in and let it incubate for a later time. The air was temperate, a bit on the cool side. 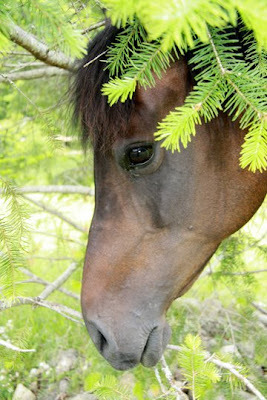 There was water dripping from branches, a few animals in the undergrowth, and a lovely quietness to it all. The silence was not deafening like it was in Alaska. It was different. Sound was different. It is hard to explain but each place has its own fingerprint of textures and sounds, qualities which make them exactly what they are, where they are, and found nowhere else. 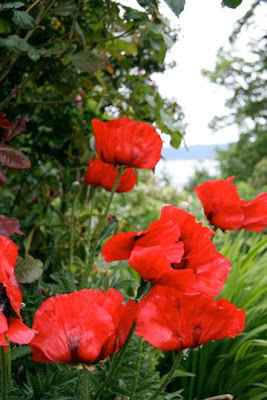 I know that I will get back to Salt Spring Island. I have made friends there, and as you know, people who live in a place draw us back just as much as any part of the landscape because they form the experience with their friendship as much as exploring on one's own. I would love to live there for a season, or for a few weeks. To set up a little studio and just work for a time, to let the mist sink in to my thoughts and onto the canvas, that would be wonderful. Anything is possible, its just a matter of making it happen. As they say, where there is a will, there is a way. 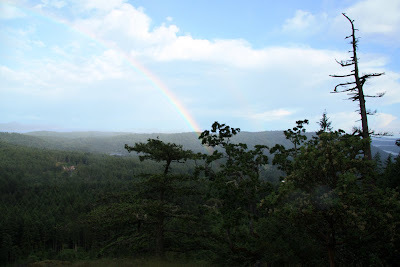 A full rainbow to end a very full adventure on Salt Spring. 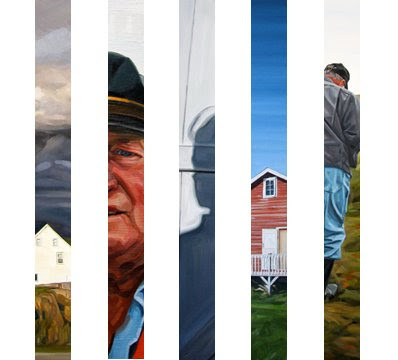 Here are some snippets of paintings that will appear in my solo show "Newfoundland Portraits" in November 2009 at Abbozzo Gallery in Oakville, Ontario. I am working steadily on new pieces each day. It will be an exciting show! You can find out more information about the exhibition on my website here. One of the paintings has already sold and the show is still 10 months away! If you are interested in seeing the pieces please contact Abbozzo Gallery. The show will run from November 5-22, 2009 with the opening reception happening on November 6th from 7-10pm. I hope to see you there!